Shift your relationship to life by quieting your mind, rejuvenating your body and opening your heart. The Hridaya Silent Meditation Retreat is four days of noble silence, allowing you to drop the everyday acts of doing and sink into just being. Is life calling you to slow down? Are you moving too fast to actually experience your life? Then you’re ready for a meditation retreat – a silent meditation retreat. Ah! Silent? Like not talking? That’s scary. I can’t imagine being silent for any length of time. I can’t even sit still for a few minutes without finding a distraction. Right – which is why you feel so wound up. It takes time to slow down and learn how to let go – of your past, of your worries, of what the future might look like if you don’t have it all figured out. Trust me, you’re not alone. You’re one of millions of people Google searching how to let go of their worries and how to be more present and accepting. A silent retreat is a kickstart to deep transformation, to slowing down and to learning how to enjoy every minute of life. A silent retreat is for anyone who’s craving time to themselves, an inner transformation, and to experience what meditation can bring to their life. It sets you up for a disciplined personal practice and a road map to letting go. What’s a silent retreat like? The Hridaya Silent Meditation Retreat is structured to give you guidance every step of the way. Everyone is invited to practice noble silence throughout the entire retreat, from our opening circle to our closing circle. Retreat leaders will speak during sessions to offer teachings and guidance in the practices but will also be in silence outside of the sessions. You are encouraged to ask written questions about your experience, the teachings or anything you need during our retreat. You’ll always be able to contact a retreat leader for support. We begin our morning practice at 7am and end the day around 9pm. Fear not! Our meditation sessions start out shorter and build up during the weekend. There is a 3-hour break after lunch for you to explore nearby trails, journal, take a nap or rest. Three nourishing, vegetarian Ayurvedic meals are offered daily by a local chef using seasonal produce that helps you have the best retreat possible, not only in your mind and heart but also in your belly. Purify even more with a sweat in the wood-fired sauna in the evenings. A few times a day we practice Hatha Yoga – a gentle but deep meditative physical yoga practice in the style of Hridaya, the Yoga of the Spiritual Heart. Movements and poses are accessible for all bodies and give you even more tools to bring more awareness into your daily life through the body. Hridaya Yoga is distinct from other practices as it engages not only the physical body but the whole being. Postures and practices are performed with a focus on both the physical body and inner experience, turning physical practice into blissful meditation. If flow or vinyasa is your thing, there is also a time before dinner to do your own practice and those things that you know nourish you best. What should I expect in a silent retreat? Every silent meditation retreat is different – even if you attend the exact same retreat multiple times. The most important attitude to have in a silent retreat is to let go of expectations. There are moments of challenge and moments of bliss in a meditation retreat, times of discomfort and times of joy. A spirit of openness to what unfolds is essential to welcoming a retreat experience. Grace and Dianna, your retreat leaders, have a decade of experience leading people through the personal transformation of yoga, meditation and silent retreats. We start with the basics of meditation and concentration techniques and build your understanding and experience throughout the weekend. Practices are accessible for beginning meditators and experienced meditators alike. You’ll learn how to listen to deeper parts of yourself – like that voice that’s been trying to be heard for years – through yoga, meditation, breathing exercises, daily life contemplation, spiritual curiosity, compassion and intentional integration. You’ll leave with a renewed strength and momentum to develop a daily practice which keeps you more calm, centered and present than you’ve been before. Our meditation retreat atmosphere is a safe space for you to try out different meditation and concentration practices, have a messy experience, and makes notes of how you want to bring these practices into your life. There’s no expectation that you do anything perfectly or that you can even sit still! We practice together by increasing the length of our meditations day by day and building up our stamina in the practice. Your humanness is welcome – exactly as you are. You’ll have the space to share your retreat experience on the last day and we highly encourage everyone to witness others’ process and share your experience. This is sometimes the most profound session of the whole weekend after being in silence with fellow seekers for four days. What do we do in a meditation retreat? Hridaya Silent Retreats are created to intimately experience what meditation is and to feel the inner transformation it can bring. During our meditation retreat, we offer practices centered on the Spiritual Heart – another name for the essence of our being. Practices come from a variety of traditions, including esoteric Christianity, Sufism, Buddhism, Tantra, Taoism and Yoga. All religious backgrounds, faiths and lifestyles are welcome in the Spiritual Heart! The atmosphere is one of love and strong spiritual support. No previous meditation or yoga experience is necessary as this silent retreat is designed for beginner and advanced meditators alike. Using techniques from these vast, mystical traditions and Hridaya Yoga, we’ll learn how to create the best conditions for meditation including cultivating awareness, mental concentration, meditation techniques based on opening to the Spiritual Heart and how to apply these techniques in daily life. The last day will include practical and concrete integration practices like how to create a home practice and maintain an open heart in the challenging moments of life. Where is the Silent Meditation Retreat? We are blessed to be hosted by the Yoga Lodge on Whidbey Island in Washington State. The pristine nature sanctuary and retreat center has been hosting deep personal transformation and spiritual growth for decades and you can feel it the moment you arrive. You’ll drop into a quiet space of unwinding and you’ll feel the desire to slow down, breathe more deeply and step into silence. Our home in the woods is surrounded by natural beauty, walking trails, wild deer, and the silence of Whidbey Island. There is little to distract you here. The Yoga Lodge on Whidbey Island sits on ten acres at the end of a private lane. It offers a place to pause and unplug from the stimulation of day-to-day life and access a quiet, connected presence. The lodge and its grounds are a nature sanctuary available for reflection, writing, marking a major life event, healing, connecting with nature and learning sacred practices such as meditation, yoga and Ayurveda. Your home at the Whidbey Yoga Lodge is simple and understated to support sadhana or practice, to inspire clarity, vision and understanding of the interconnectedness of all life. What does it mean to be silent? Silence starts with not talking…but it’s so much more. We start with the intention to not talk or communicate once we set our container and begin the retreat. You are welcome to write notes to retreat leaders when you have questions or need assistance. Otherwise, we ask there to be no communication between guests, including not looking at other people’s faces, not making eye contact and not touching others. This may seem strict, but it opens the gateway to really focus internally, the whole point of a silent retreat. Once you get into the rhythm, you’ll be grateful for the space away from pleasing people or worrying about how they’ll react to you. We ask all guests to maintain this noble silence throughout the retreat, which includes: no books, no electronics, no music, no phones or devices or other distractions. Again, this might feel extreme. The point is to not let yourself go to any distraction from what you’re really experiencing in the present moment. If taking a few days away from social media scares you, then you’re very ready for this journey. We do encourage journaling to assist in the processing of your experience. If you’ve never experienced the intimacy of silence – especially in today’s fast-paced, notification pinging, constant news driven, social media addicted, instant gratification world – you’ll never forget the spaciousness it brings. You’ll leave with more inner and outer love, tools to calm and center yourself, an understanding of what it means to let go, practices for deeper connection with other people, and the ability to be more present, conscious and to let go. We hope you’ll join us for this special weekend dedicated to YOU. Noble Silence is a common practice in retreats which offers a rare and precious opportunity to simplify one’s daily routine, quiet the mind and cultivate an inward focus of attention. There is the also the opportunity to go deep in our internal world and not be distracted by the social conventions that usually turn the wheels of our mind constantly. By observing outer silence and temporarily renouncing our usual habits of conversation, we provide a support for the cultivation of a deep inner silence. You will be asked to refrain not only from speaking, but also from using electronic devices. We will explain more and provide an opportunity for asking questions before going into silence. Be assured you will always have the opportunity to communicate by writing messages to Dianna and Grace should the need arise. There will also be a daily Q&A session. I've never meditated before. Is this retreat right for me? Absolutely! Many new to meditation begin by attending a retreat. Retreats provide a wonderful opportunity learn skills and to dive directly into the process, building momentum and faith in meditation. I’m an advanced meditator. Will I get something out of this retreat? As an experienced meditator, you have the opportunity to go very deep in this retreat and start from your level of practice. The retreat is designed to give you the gift of leaving the busy-ness of life behind and concentrating for an extended period of time. You’ll also gain new meditation techniques and practices focused on the Spiritual Heart and insights to deepen your existing practice. How long are the meditation sessions? Sessions will be from 30 minutes to one hour, increasing in duration over the retreat. Guests are welcomed to adjust their position during sessions as needed and to use props to sit comfortably. Chairs are also provided. Do we have to sit on the floor? No, sitting on the floor is not required – there will be chairs available as needed. If you do choose the floor there will be cushions and other items for maximum comfort. We will also talk of ways of sitting comfortably. What is the yoga like? Do I need to be flexible? Hridaya Yoga is a meditative practice focused on going into the Spiritual Heart through the energy and movements of the body. It is accessible for all bodies and modifiable for any injuries or conditions. Don’t worry about whether you’re experienced at yoga or flexible. We will serve professionally prepared organic, vegetarian meals. We will do our best to accommodate restricted diets, including vegan and gluten free – you will need to let us know preferences on your registration form. For highly restricted diets you may need to supplement your own meals. A refrigerator will be available to store your personal items. We do ask that everyone bring snacks, as needed. Comfortable, layered clothing is best. The Northwest can be surprisingly chilly in the spring. Bring clothes you can sit, move and walk in. Bodies can get chilly during meditation and warm during yoga sessions. There are also hiking trails to explore on your breaks. Bring waterproof clothing so you can go outside. Where is the retreat located? How do I get there? What have people experienced in silent retreats? We’ll let our guests tell you in their own words what they’ve experienced in a silent meditation retreat. "This was truly one of the most memorable weekends. It left me feeling awake and focused. I am inspired to now have an unplugged time every day." Ready to know more or register? If you have more questions, please contact us and ask! We’re happy to chat about your upcoming retreat experience and how you can feel the most comfortable and confident walking into a silent meditation retreat. It’s totally normal to be nervous, fearful or confused about a silent retreat and we’re happy to answer your questions and put your mind at ease. Need financial assistance or a partial scholarship? Please contact us to talk about options. Before April 30: Cancellations will be refunded minus the $200 deposit. After April 30: Cancellations will be refunded less the $200 deposit IF we are able to fill your space. Grace Bryant has been a whole life educator for the past 13 years, integrating drama, music, movement, meditation and yoga, mindful living, creative play, teamwork, conscious collaboration and leadership. Her Yogic path began in 2005 when her sister dragged her to a Yoga class in Federal Way. She fell in love with savasana and came back just for relaxation. In 2007, she was inspired to start teaching informally and since then has studied and taught in 6 countries and devoted her entire life to the journey of awakening. 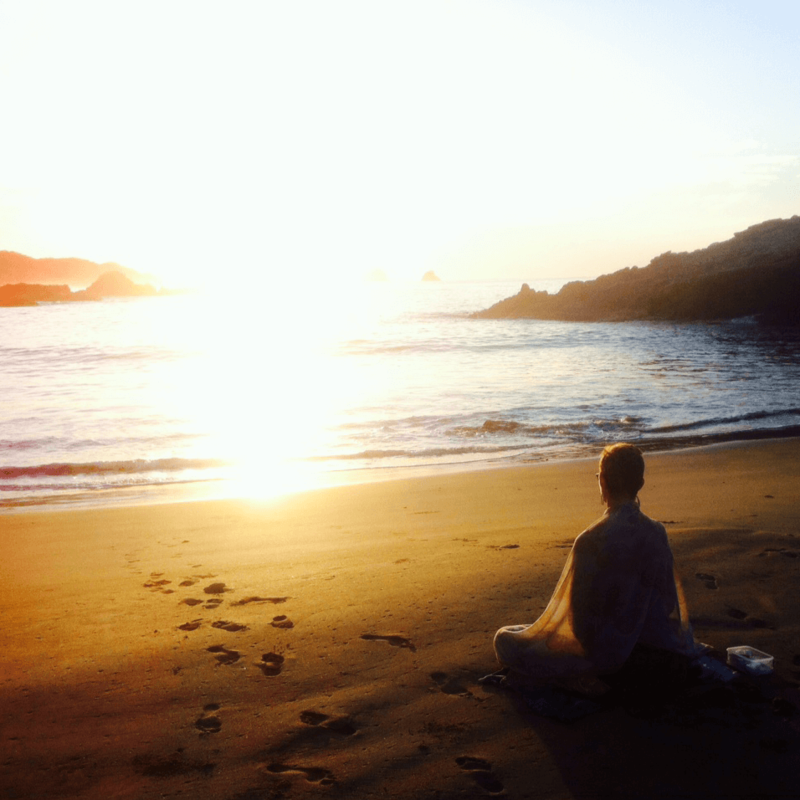 Grace recently completed the Hridaya Teacher Training in Mexico and is beyond grateful to have received the teachings of Advaita Tantra and the Spiritual Heart. She believes these teachings can transform the consciousness of anyone who practices them sincerely. Grace’s favorite classes are those which deepen our consciousness and also incorporate how to live with more awareness, trust and compassion. She leads classes, discussion groups, workshops, women’s groups, and retreats in the Pacific Northwest and abroad with a focus on bringing a Yogic approach into every area of life. Through Yoga, she has found a deep sense of peace and trust, and hopes to share this in her teachings. 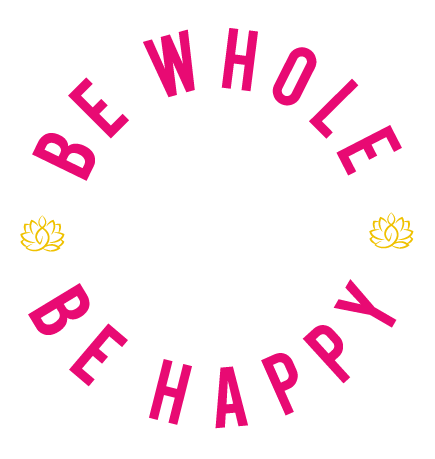 More information can be found at her website, www.bewholebehappy.com. Dianna Heston has been known to wander about the world, yet calls Portland, Oregon her home. At the age of 50, with her children grown and on their own and acknowledging her corporate career was not fulfilling, she took off to explore the world and, more importantly, herself. She was lucky enough to be able to travel internationally and do nothing but focus her attention on Yoga, meditation, and Eastern philosophies. Her travels took her to Greece, India, Nepal, Mexico and Thailand, where she spent several months in each location studying with some incredible teachers. This was a transforming time in her life. Dianna’s passion for yoga has primarily been inspired by the ways in which Yoga supports the process of empowering individuals to progress toward improved health and well-being. Her personal practice and teaching utilizes restorative and therapeutic yoga as the cornerstone for a well-rounded healing process. Dianna has both witnessed and personally experienced how emotional and physical well-being are attainable by employing relaxation, meditation and mindfulness, physical asana, and breathwork. Being able to share the ancient wisdom of the Yogi’s for health and healing causes her heart to burst with Love! Dianna completed her certifications for Yoga Teacher Training in 2012, and for Therapeutic Yoga in 2014. Both at Agama Yoga in Thailand. She continues her studies in Hridaya Meditation, Mindfulness, and other disciplines. Sessions include meditation (which incrementally increase in length throughout the weekend), Hridaya Hatha Yoga, and relevant teachings. Examples teachings: The self-inquiry method, What is the Spiritual Heart, Self-awareness, Witness Consciousness, Compassion, The True Nature of Love, Living with an Open Heart, Integration of Daily Life into Spirituality and techniques for yoga, meditation, pranayama and awareness.